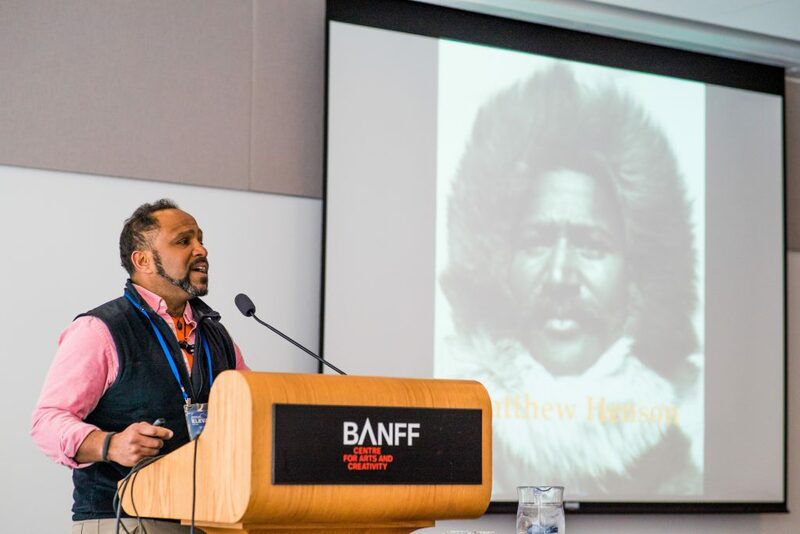 At the Adventure Travel Trade Association’s (ATTA) recent AdventureELEVATE in Alberta, Canada, I had the privilege of moderating a very lively and topical discussion. With my friends Rue Mapp and Evita Robinson, I conducted a workshop called A Market on the Edge: Designing Trips and Marketing to African-American Travelers, which focused on the very complex issue of diversity, equity, and inclusion in the adventure travel industry. With conspicuously low rates of participation among African-Americans and other people of color in the business of foreign and domestic tourism, our purpose was to provide ATTA member companies with a bit of insight on how to attract and retain non-white consumers as customers. As a journalist, I’ve carved out an expertise on the topic of diversity in outdoor recreation. I have reported on a variety of different expeditions from the Arctic National Wildlife Refuge in Alaska to Lake Titicaca in Bolivia to Serengeti National Park in Tanzania. 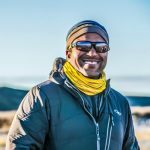 With a personal passion for exotic locations, much of my work has focused on the lack of representation among people of color in the world of adventure tourism. Joined by two of the nation’s leading experts on Black outdoor recreation and foreign travel, Mapp, Robinson, and I addressed many of the challenges and opportunities in engaging the African-American market. Unfortunately, if you take a look at the many thousands of catalogs, brochures, magazine articles, blog posts, Facebook pages, and advertisements in the adventure travel industry, very few of these media placements depict people of color. Though anecdotal observations at downhill ski resorts, backcountry lodges, yoga retreats, and overseas tour groups reveal the presence of relatively few Black and brown people, their numbers are indeed growing. But few travel destinations, hotel properties, or tour operators seem prepared or even willing to reach out to this rising market. Many providers of adventure amenities believe their services are open and inviting to everyone, which in principle they are, but most fail to reach, inspire, and engage a demographic of the population that is gaining in both cultural and economic significance. As education, wealth, and influence steadily increase throughout the African-American community, the potential of this emerging cohort has yet to be fully realized within the world of adventure travel. According to a 2015 report from the Nielsen Company, a global measurement and data analytics agency, Black consumers are the key to unlocking the future spending power of the next generation. 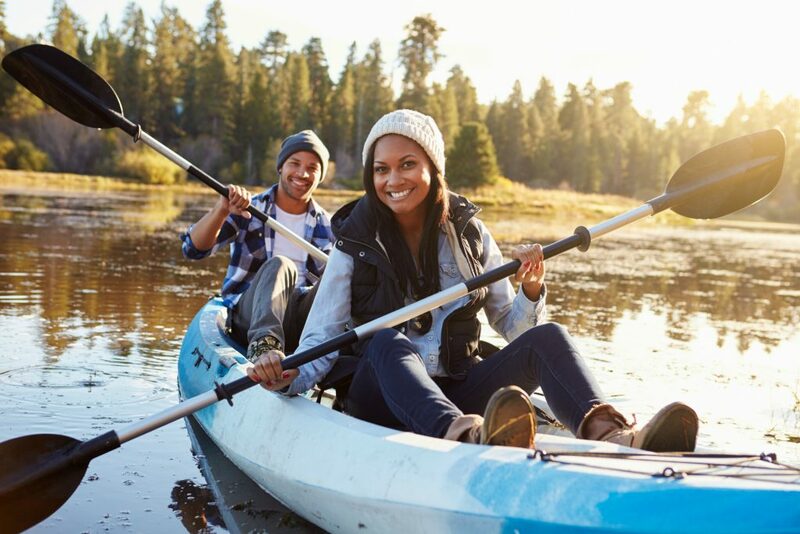 If marketing and outreach initiatives are going to keep pace with an ever-expanding population of non-white consumers, adventure travel professionals, which include many ATTA members, need to achieve a level of cultural competency allowing them to bring more people of color into their operations not only as clients, but also as employees, vendors, and service providers. Of course, the question is how? During our AdventureELEVATE workshop, Mapp, Robinson, and I outlined a few basic concepts to help delegates better promote their products and services to the African-American community. Each of us agrees that it all begins with building relationships. Affinity groups that are directly involved in communities of color are an excellent place to start. 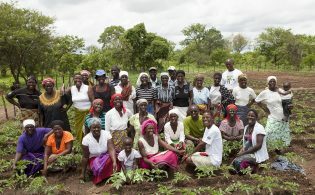 Outdoor Afro, for example, is a national organization working in more than 30 states that helps its members forge a connection with the natural world. Mapp, the organization’s founder and CEO, believes that, through a board network of leaders across the country, Outdoor Afro can offer travel professionals a gateway into the hearts and minds of Black consumers. By establishing rapport with trusted leaders within specific affinity groups, travel companies can make themselves known to many new customers at once. These organizations include churches with large African-American congregations, historically Black colleges and universities, or clubs like the National Brotherhood of Skiers, the largest snow sports association in the country. Its members are almost exclusively Black. However, Mapp said it is important to not only share resources and information, but to recognize cultural differences and craft messages that are relevant to the audience companies are trying to reach. 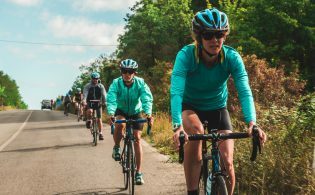 Adventure travel providers need to be better about incorporating authentic images featuring a diverse clientele into their marketing and promotional materials. Above all else, sincere relationships built within the African-American community must be authentic. Trusted influencers and ambassadors can lead their followers directly on familiarization trips or via social media to destinations they may never have thought possible to visit. But that’s not to say tour operators need to necessarily change the intrinsic nature of their programs. From these authentic interactions can come a lot of worthwhile collateral for marketing purposes. Authentic images and testimonials featuring a diverse clientele can encourage higher rates of participation among Black consumers. But if people of color cannot be immediately drawn to a destination, Robinson suggests tour operators explicitly ask Black residents how they can make their location more attractive. Those who attended the ATTA diversity workshop took a lot of the information and insight they received to heart. A tourist destination in Alabama with a large African-American population, Mobile offers a variety of adventure-based attractions in addition to a vibrant food and music scene. Right on the Gulf of Mexico with plenty of opportunities to explore the natural wonders of a thriving ecosystem, even this southern U.S. city finds it challenging to attract Black visitors. Stacy Hamilton, vice president of marketing and communications at Visit Mobile, said her biggest takeaway from the workshop was the importance of direct community engagement. With a new perspective identifying Black consumers as a target audience, adventure travel professionals have a wonderful opportunity to tap into this emerging market, both in the United States and abroad. According to the Nielsen Company in its 2015 report, from 2000 to 2014, the nation’s Black population grew 35 percent faster than the total population. Further, it is projected to increase from the current 45.7 million to 74.5 million people, making up 17.9 percent of the total U.S. population by 2060. “Black consumers are increasingly viewed as trendsetters and influencers across the U.S. mainstream,” the report concluded. A 2018 study released by the Nielsen Company further reported the purchasing power of Black consumers now exceeds $1.2 trillion USD annually. That kind of financial influence will undoubtedly leave a lasting impression upon the U.S. economy as a whole, including the adventure travel industry. If tour companies and destinations are going to be successful over the next five decades, the African-American market must be engaged. It certainly cannot be ignored. Hi James, I just read your article. I pretty much agreed with all your points. I’d like to provide you with my own experience of what you’re talking about. 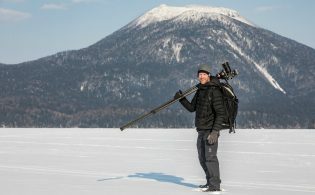 My business, Outerthere.com, creates fun, feel-good outdoor adventure and travel content. I use my content to promote outdoor adventures and travel and earn commissions as an affiliate marketer. So naturally, it’s important to me that my content works to get my audience to book. My audience has never been general market. It’s always been diverse. I had always thought it’s because I’m based in NYC and that’s what’s here. Or since people see me in my content and read my words, they self-gravitate to my brand. But after years of doing this work, getting feedback and comparing notes with other local outfitters and event organizers, the real reason diverse markets are attracted to the Outerthere brand is because I’m previewing a variety of experiences in a safe, friendly, and fun way that encourages first-timers to try something. And yes, there’s always POCs in my content. I think this is exactly what you’re talking about, but instead of creating content specifically about a destination or an experience (like pretty much every other marketer in the travel and tourism space creates, and rightly so), I’m creating content that shows how a person or group – usually first-timers – experiences a destination or experience, which I believe is the exact type of content a POC needs to see before they commit, since a POC is often a first-time participant in outdoor and travel adventures. In other words, the content I create makes an activity doable for a POC and they go book it – through @Outerthere. And that’s how I think your points are valid. Thanks for sharing your article. Helpful post, I wasn’t able to attend the conference this year, but would have definitely attended this session. So timely and important. Thank you! Hi Al – thank you for taking the time to share your own experiences and successes of working with the demographic. It is always good to hear what others are doing so our audience can learn and make their own changes. Appreciate you taking the time. Thank you, Ginny! Hopefully we can catch you at the next conference otherwise we’ll do our best to continue to publish helpful content like this in the future. Hi, i am a Southern African tour operator and find the article very interesting. How would I be able to attract tourists from the African-American connection. I am dealing mostly with the European market but want to also tap into this market you are talking about. todas las actividades que realizamos como empresa se reflejan en nuestra pagina, tambien trabajamos con eco turismo comunitario, en la parte selvatica como altiplanica de este pais llamado Bolivia. great job! thanks for your wonderful article. glad to see of atta’s renewed interest in the subject matter. Thanks for publishing a usefully informative article which can turn out to be a fruitful step towards success. In order to run an influential business, attracting travelers is indispensible. Great insightful article for someone like me in the African safari adventure.